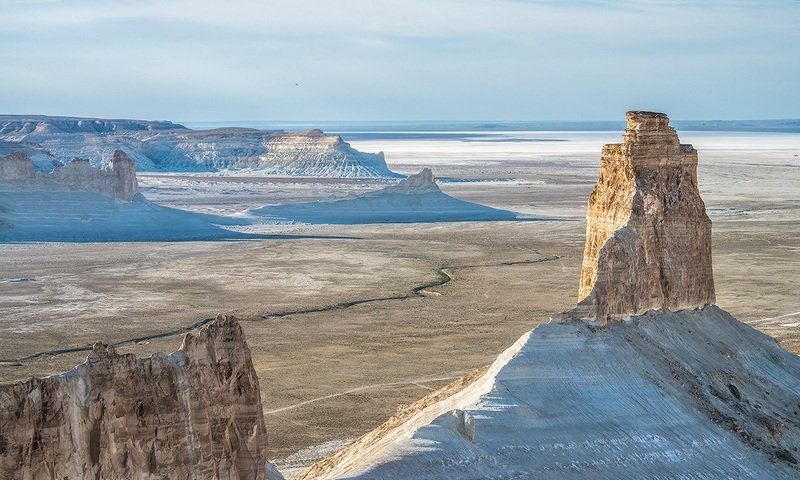 Panorama of Boszhira Valley while standing on top of a Cliff – this a breathtaking experience! 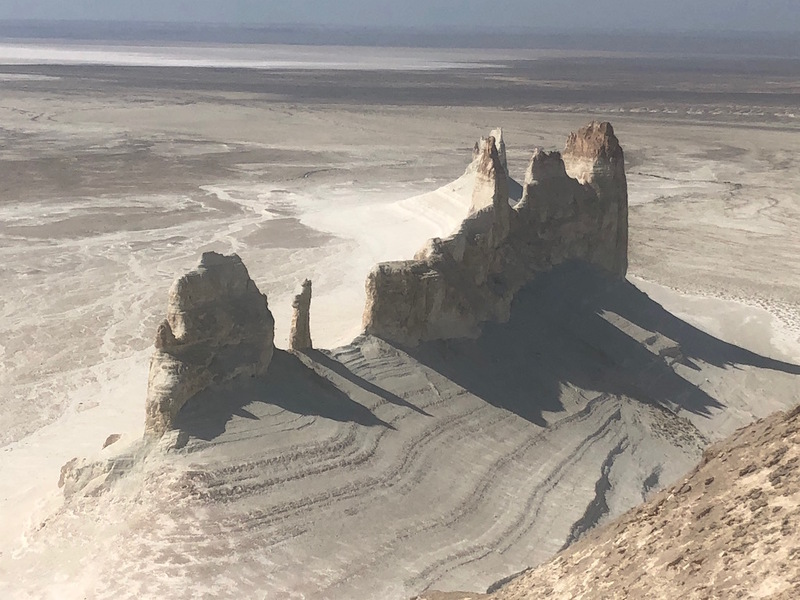 As a bonus, you will also see one of the deepest hollows on the planet — Karagiye Depression which in summer turns into dry salt lake. 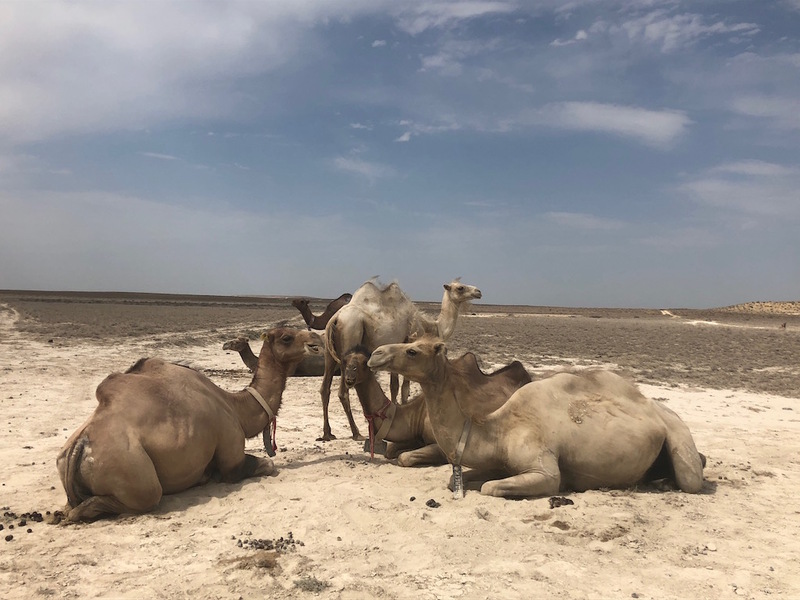 This tour is definitely for adventurous travelers, who are courageous to get out of the comforts of “easy” tourism, and instead, can plunge into the unknown, but truly marvelous. Note: The tour route might be changed to the weather condition. The accommodation can be changed to 4* or 5* upon the guests preference for additional charge. Departure from Aktau to Shakpak Ata (approx.122 km) at 8:30 am. 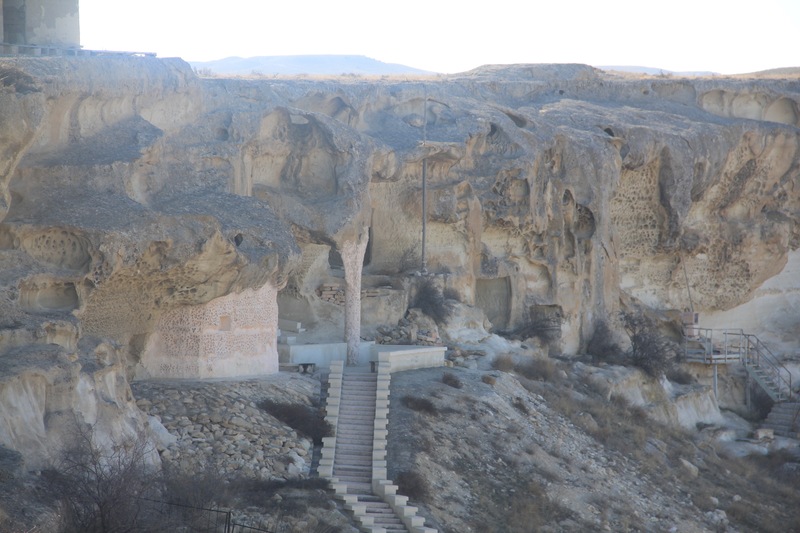 Visit Shakpak Ata Underground mosque and underlying necropolis. Underground mosque Shakpak-Ata (10th-13th cc.) is located on the Tupkargan peninsula. Design of the mosque is unique in Kazakhstan when looking from above on it looks like a cross. The mosque has similarities with some early Persian mosques and with mausoleum-mosque of Shir-Kabir in Dehistan (Turkmenistan) also dated of approximately the same time. 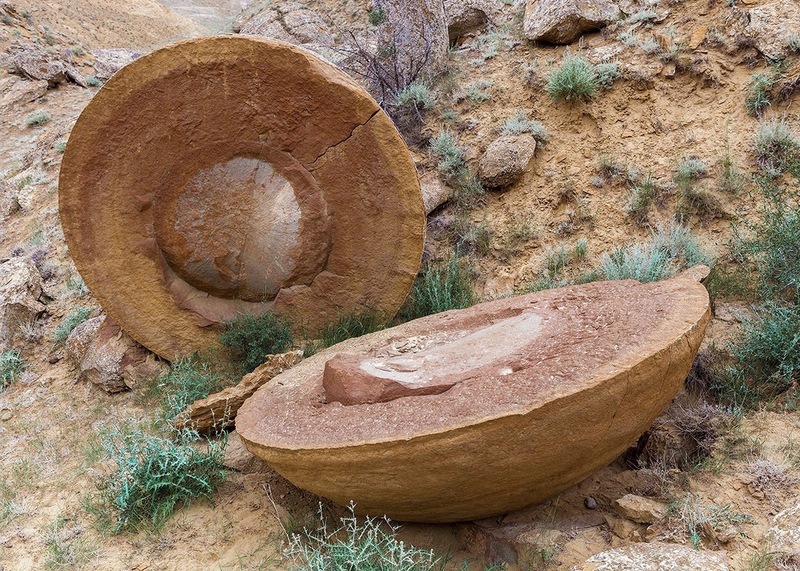 From Shakpak-Ata we will move to visit a valley of huge globular fossil concretions called Torysh or Magic Balls. 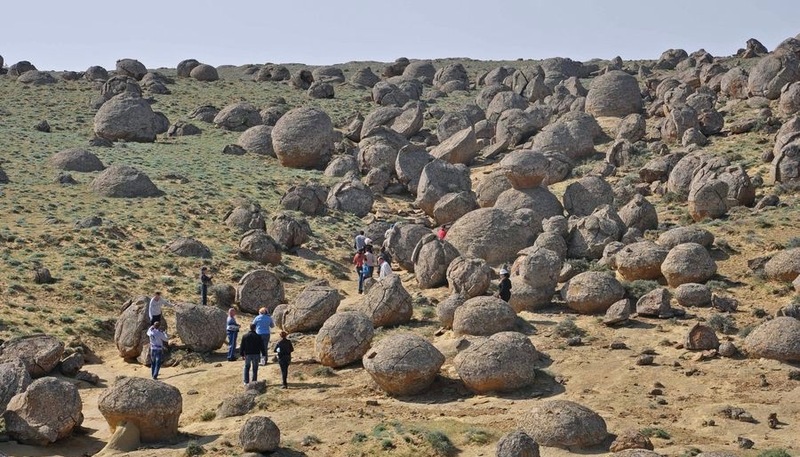 Torysh starts with infinite fields and ridges of unusual spherical stone formations with a size of about 3 – 4 m in diameter. 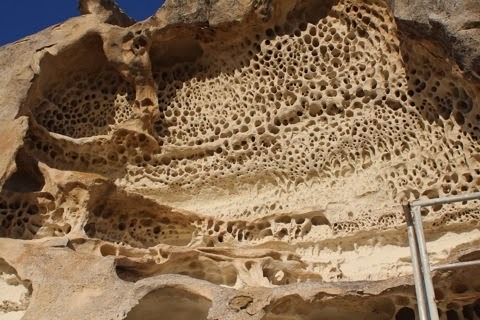 Time of formation of these unique stones started 180 – 120 million years ago. We continue our route to Araicty valley with a stopover at Sherkala Mountain. Sherkala, which from Kazakh language translates as Lion’s city, has the same importance for local people as Eiffel Tower for Paris or the Statue of Liberty for New York. This yurt shape mountain is a Symbol and a Landmark of Mangistau region. 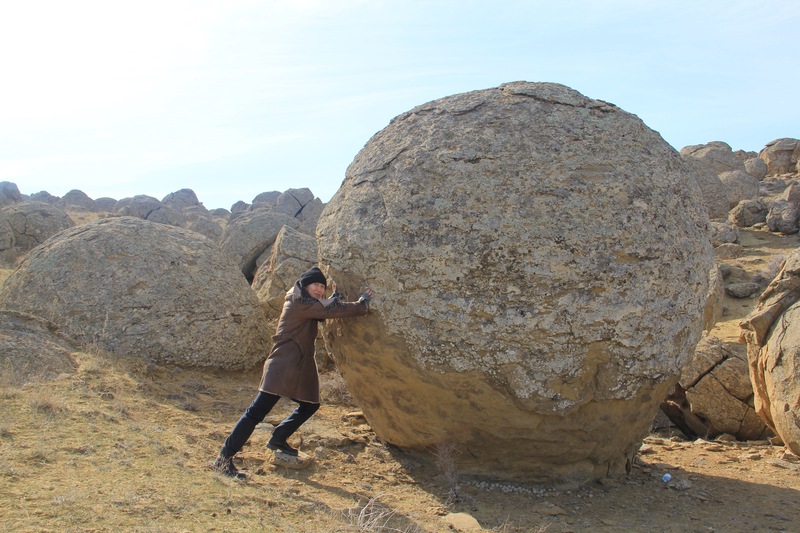 Photos of Sherkala Mountain you will find on every website dedicated to Mangistau. Second name of Airacty is Valley of Castles. Mountains of Airacty look like fairy-tale castles with towers and fortress walls. In the spring in the valley among the rocks grow the Sogdiana tulips. Dinner. Overnight in a tent camp. After breakfast we will depart to Tuzbair lake. Tuzbair is a hardly noticeable place. From afar it draws the eye only by two residual table mountains, adjacent to the main massif of the plateau. 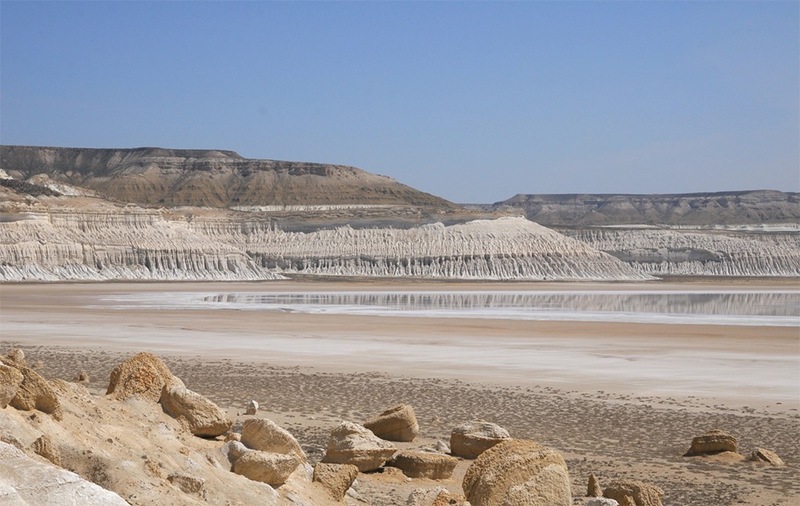 Tuzbair lake which literally translates as “Salty Wall” takes its name after the White Salty mountains that surround it. Upon arrival to Tuzbair, we will walk on salty surface of the lake on top of the water. Then we will climb on one of the rocks to see an amazing panorama that is opening on Tuzbair lake. 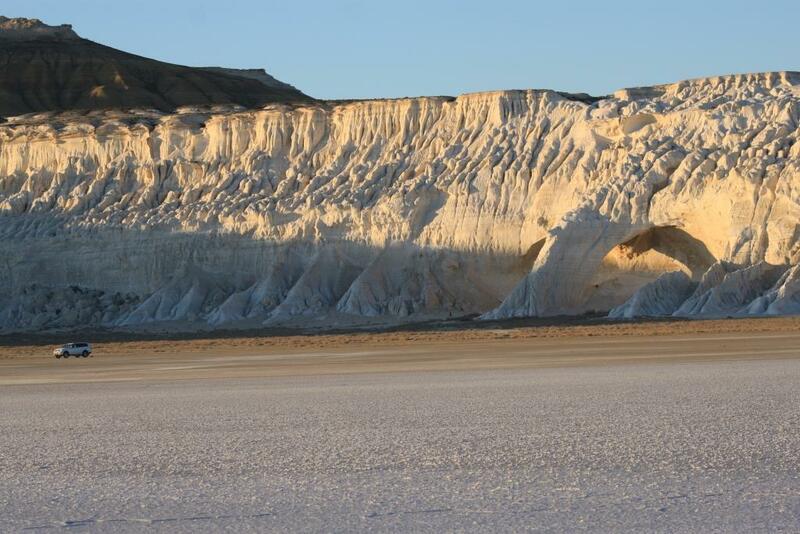 It allows us to take photos of blue – white salty lake. After trekking on various rocks, in order to find the most astonishing view on opening landscape, we will start preparation for departure to Beket ata underground mosque. Underground mosque of Beket-Ata (18th century) is a spiritual, historical and architectural monument. The mosque is standing on top the rock. Throughout the year pilgrims around the world visit the mosque named after holy Suffi – Beket Ata. For Kazakhs, Beket-Ata is prophet like figure. He was familiar with the laws of physics, mathematics and astronomy. Scientists have put forward a bold hypothesis that the mosque used to be an observatory. The final part of destination is Boszhira valley. On Boszhira we will trek to the first panoramic platform and see a beautiful sunset that descends on a whole valley. 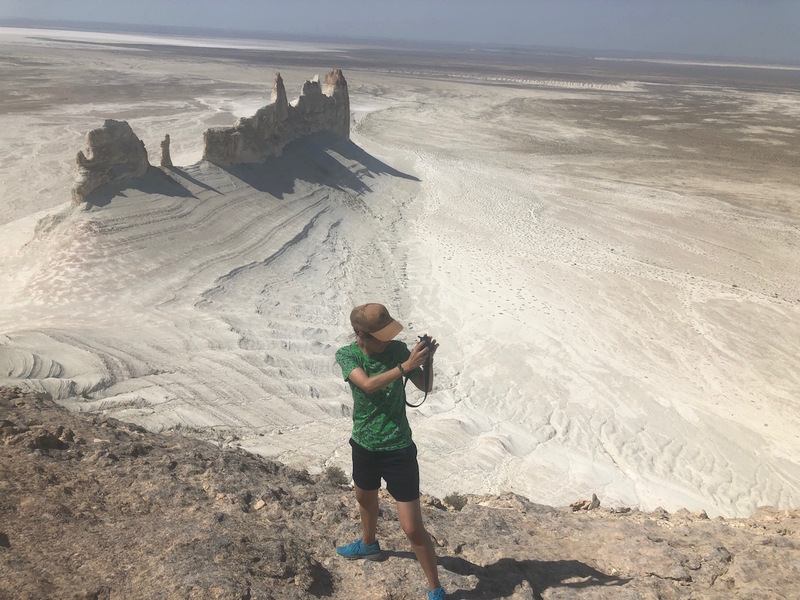 Boszhira valley – one of the site of Ustyurt plateau covers a huge area and takes more than one day to explore all of it. After breakfast we will do hiking to the Dreadnote Cliff. 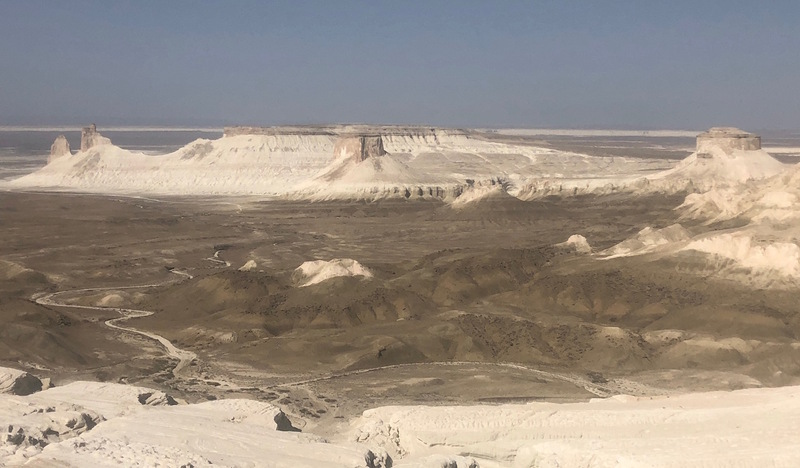 From top of the Cliff opens breathtaking view on whole Ustyrt Plateau reminding us of Martian surface, but we know that is a bottom of the former Tethys ocean. After trekking we will depart to see Bokty mountain. Bokty Mountain is table-flat clay, called shatt. The red colour of the chalk is what truly makes this Mount stand out. Our guide will show you strategic high spots from where you can see Bokty from all angles. After lunch we will get prepared to see Karagiye Depression with a stopover at Tuesu sand dunes. 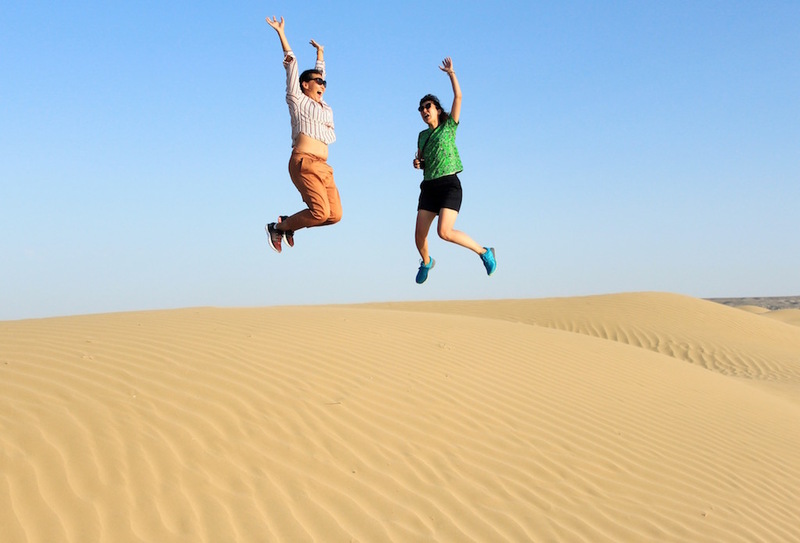 At Tuesu you will forget that you are in Kazakhstan but more like in Sahara. Sand dunes impress with their uniqueness and purity, its height in some place reach 50 – 60 meters. 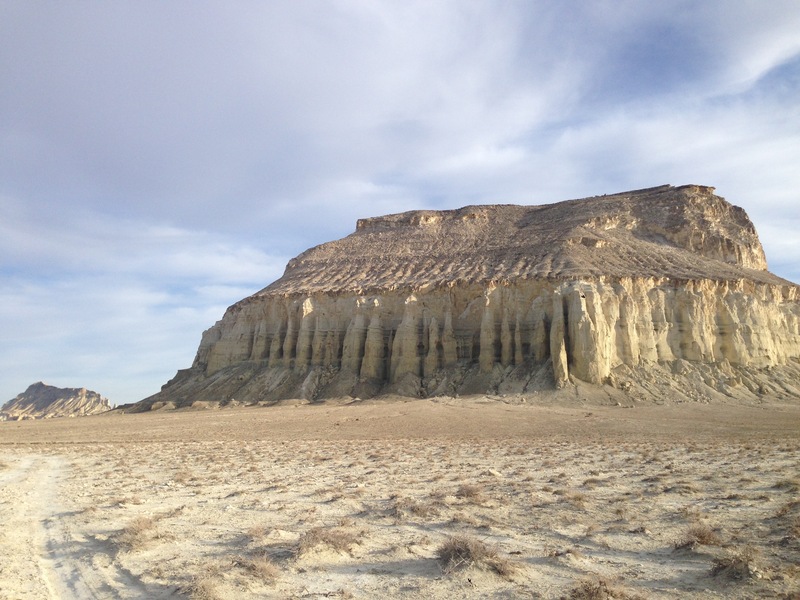 Karagiya depression is the lowest points in Kazakhstan and one of the lowest in whole Central Asia. Karagiye Depression is 132 metres below the sea level and 40 km long stretching close to the Caspian sea. Dinner prepared by our guide. Departure to Aktau and transfer to the airport or to the hotel. We had an exceptional time with Vladimir on our Mangistau tour. He did a fantastic job as a tour guide and was very attentive to our needs and those of our children. It was truly an outstanding experience and will be definitely recommending you to our colleagues in Astana. Thank you so much for organizing such a great trip. If you made it this far, don’t look further. Book with Turan Asia. 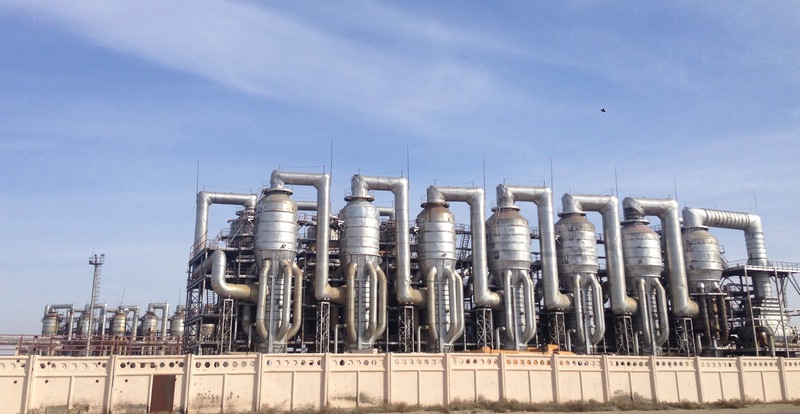 The tour is pricey, but was the best offer we got from different tour operators. We checked many and in the end we felt very comfortable booking here, because of the price, package and pre-tour service. Aliya was our contact person and she did an incredibly outstanding job. She will go out if her way to support you. And you won’t have any difficulties to communicate in English with her. A real gem. The nature of Mangistau itself was absolutely stunning. We’ve traveled quite a bit, but haven’t seen anything like this. So many different landscapes and most of them felt like a different planet. And most of the time you’ll be alone out there. That’s very special, since this area is free of crowds and coaches full of tourists. Only individual travelers. Visit now if you can. Another big advantage is that you can stop anywhere you want to enjoy the nature. The first night we opted to sleep in a traditional yurt in a camp with showers, toilets and electricity. Absolutely recommended. The second night we slept in a tent in the middle of nowhere. Amazing experience. Kazakhstan and especially the Mangistau Region are still unknown to most people. Totally undeserved, because it offers so many amazing places. Start exploring right now.